When the market drops 724 points in one day and the volatility index (aka the VIX) spikes up 30%, you know that we’re in a very different place. Part of this was the return of the volatility that the markets had given up when the central banks of the world started running the economies of most nations. In a low-interest-rate, slow growth economy, money was made off of buying government bonds and either lending at a higher rate to big corporations that were using the cash to pay down debt or buy back stock, or just making money between borrowing costs (near 0%) and the yields. But what has really amped up the transition back to more normal market dynamics is the trade war that is being rolled out in Washington, D.C. The market hates uncertainty, and a trade war with the second largest economy in the world is uncertainty on steroids. However, not all stocks will be on this roller coaster. These 10 triple-A stocks for the second quarter are perfect examples of stocks that have momentum, earnings and sales on their side. 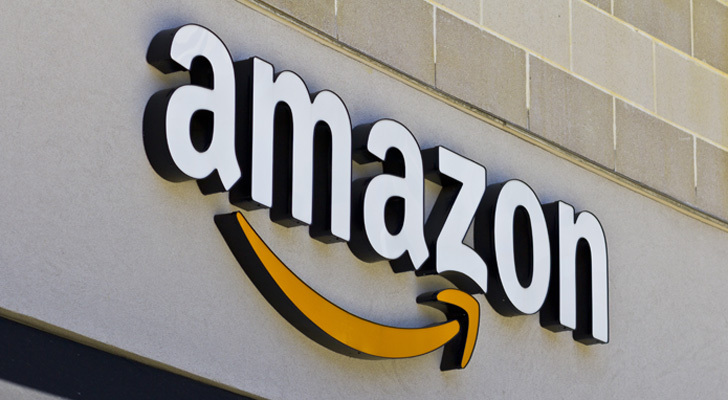 Amazon.com, Inc. (NASDAQ:AMZN) is hardly a surprise, when it comes to growth stocks that are above most frays. At this point, founder and CEO Jeff Bezos is the richest man in the world because AMZN stock continues to soar. The company’s unrelenting focus on growth opportunities has been its signature for years. Many analysts have always been concerned that plowing all its revenue back into new businesses — cloud computing, groceries, frictionless retail, entertainment, banking — was AMZN’s Achilles heel. Someday, Amazon would not be able to execute and the whole thing would come tumbling down. But that hasn’t been the case. Every market it enters, it has found a way to major player. And in today’s market, its size and diversity is also an attractive place for scared money. 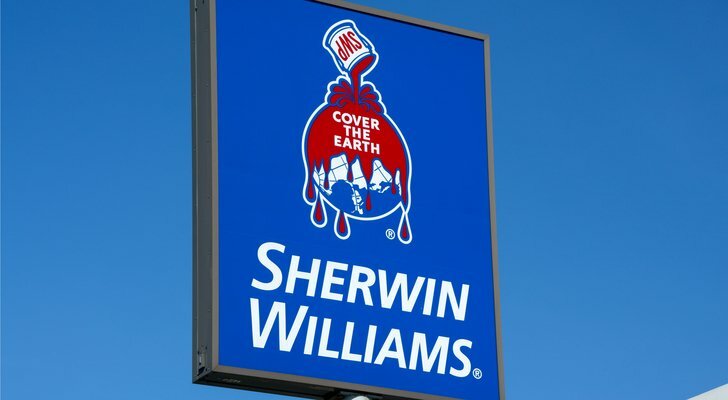 Sherwin-Williams Co (NYSE:SHW) has been around since 1866, the year after General Robert E. Lee surrendered to General Ulysses S. Grant at Appomattox, Va. to end the Civil War. The period after the war was appropriately called the Reconstruction, and SHW was well equipped to help do that in the most literal sense. It’s also important to understand that in the past 152 years, the U.S. has seen a lot of economic upheaval. The Federal Reserve wasn’t created until 1913, so it had 47 years of living in the economic wild west, with booms and busts occurring on a regular basis. And SHW not only survived but it found a path for growth. Today the company has 4,600 paint stores around the world and a grow relationship with home improvement chain Lowe’s Companies, Inc. (NYSE:LOW). Wynn Resorts, Limited (NASDAQ:WYNN) has been in the news recently, but most of the news has been about its namesake Steve Wynn and some legal issues. Don’t let that detract from the growth in this casino resort stock. First, WYNN was one of the first Western gaming companies to invest heavily in Macau, an island off mainland China that is essentially the Las Vegas of Asia at this point. Second, as the U.S. economy recovers, Las Vegas will see more visitors from around the world. And the Wynn experience has set the standard for the modern Vegas experience. Even with all its management troubles the stock is up 60% in the past 12 months, with more to come. Vertex Pharmaceuticals Incorporated (NASDAQ:VRTX) is biotech that has built a very wide and deep moat around cystic fibrosis (CF) treatments. With the approval of its most recent CF treatment, Symdeko, VRTX has the three top drugs in the field. The drugs allow CF sufferers, who struggle to breathe, which makes virtually every daily task a challenge, and with age a danger, to increase their lung capacity to near-normal levels in most cases. The thing is, these drugs aren’t cheap. Their costs run into the hundreds of thousands of dollars a year. But with each new drug, the prices continue to come down. But like hepatitis C drugs, the price is less expensive for insurance companies than the long-term care CF patients would need otherwise. VRTX stock is up 83% in the past 12 months, and it’s just hitting its stride. Daqo New Energy Corp (NYSE:DQ) is a Chinese firm that is focused on the global photovoltaic market. With a $561 million market cap, it’s one of the smaller companies featured here, but its size is the reason it’s attractive now. With all the tariff talk in the U.S., Chinese solar companies aren’t likely to see much business growth in the U.S. marketplace in the near term. But DQ is small enough where its international exposure isn’t an issue right now. It can — and has been — grow in the domestic market for quite a while before it needs to look beyond its borders. Up nearly 140% in the past 12 months, it still has plenty of room to grow its operations. And having a company in your portfolio that is insulated from the volatility in the U.S. market is a very good idea right now. Lumentum Holdings Inc (NASDAQ:LITE) is all about lasers. 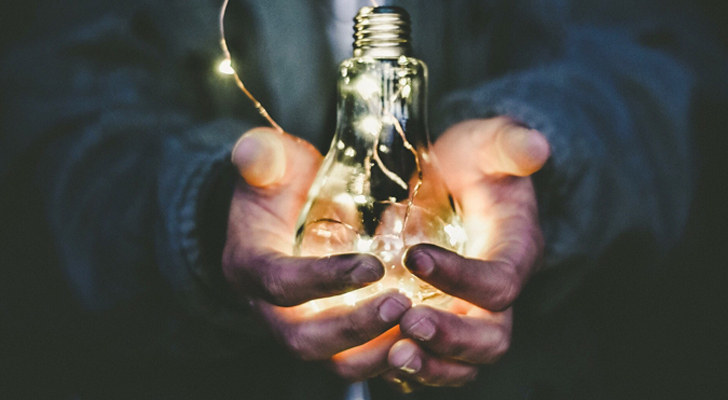 That may sound very 1990s, but today, lasers are crucial in sectors like cloud computing, networking, advanced manufacturing and most important, 3D sensing. The latter is where the action is moving forward. Ever play Xbox with Kinect, where you don’t use a controller but the console “sees” your movements and translates them to the screen? Do you have facial recognition on your phone? Ever play a virtual reality or augmented reality game? They are all using 3D sensing. And LITE is one of the leaders in this fast-growing sector. Up nearly 40% year to date, even with all the madness in the markets, LITE stock has years to run. 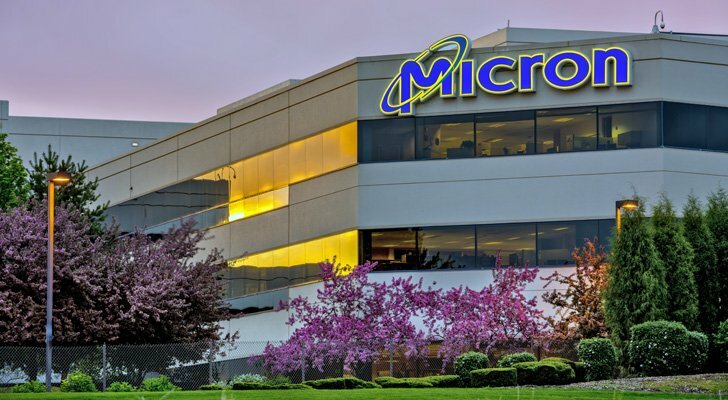 Micron Technology (NASDAQ:MU) is a leading flash memory chip maker. Yesterday it released its quarterly numbers. It beat on earnings and beat on revenue. While this news is reassuring, it isn’t spectacular because MU stock has been on a tear for more than a year now. MU stock is up 112% for the last 12 months and 34% year to date, even after the market’s swoon yesterday. The fact is, there is a huge secular transition in the computing sphere from traditional desktops and workstations to mobile equipment, whether it’s smartphones, tablets or laptops. That means anything that needs memory to function in the future will likely be transitioning to some form of flash memory. As the leading focused provider of flash memory, MU is in a great position to take advantage of this massive, multi-year transition. Xcerra Corporation (NASDAQ:XCRA) is a U.S. firm that builds semiconductor testing and measurement equipment. That means it’s not a chipmaker but its boat rises when the chip sector in on a roll, like it is now. Last year, a Chinese tech firm offered to buy XCRA at a price of $10.15 a share. That pretty much locked in the upside on the stock until late February of this year, when XCRA called off the merger. Since then, the stock has made a very nice upside move and there is still plenty of pent up demand for the stock, since it has been on the shelf for nearly a year. With a $635 million market cap, this isn’t a big stock, but in this kind of market that means it can spread its wings — but expect an exciting, bumpy ride. GrubHub Inc (NASDAQ:GRUB) is a food delivery service. It’s up 210% in the past 12 months and has a $9 billion market cap. That may sound pretty crazy for such a seemingly low-tech operation in today’s high tech world. But it’s all about scale and scalability — and the gig economy. 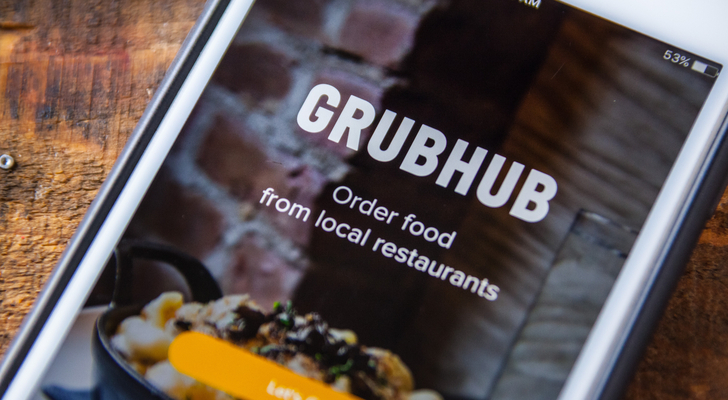 Right now, GRUB works with 80,000 local restaurants in 1,600 U.S. cities and its snapping up local competition wherever it expands. It has partnered with local business social media company Yelp to combine forces (and services). And all those Lyft and Uber drivers out there now have another gig to add to their driving routes. The bigger GRUB gets, the lower its fees, which will raise its customer base. This virtuous circle will be spinning for a long time to come. STMicroelectronics NV (ADR) (NYSE:STM) is a Swiss company that has been in the semiconductor business for many years. Its first run-in with fame in the U.S. was its RFID business. Radio frequency identification (RFID) tags are now quite common. Have you ever received a package in the mail that had a flat chip-looking thing in the box when it arrived? That’s an RFID tag. These help identify, track and inventory all sorts of goods and materials that travel around the world. Now, STM is one of the key chip makers in the Internet of Things (IoT) space. 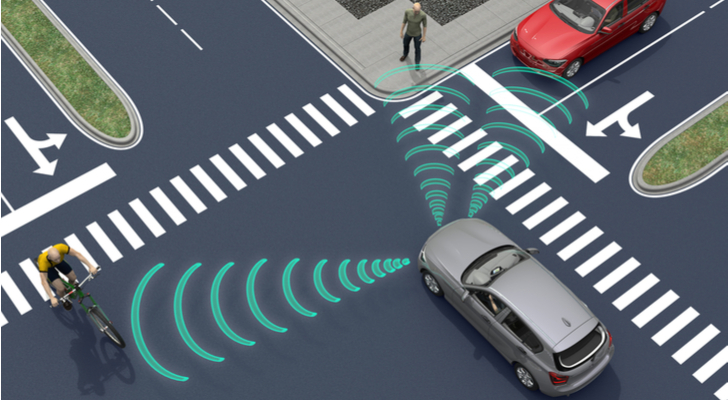 And it has significant exposure in the smart car and self-driving car spaces. Up 52% in the past 12 months, STM stock is a play on global growth and cutting-edge tech. Article printed from InvestorPlace Media, https://investorplace.com/2018/03/10-triple-a-stocks-for-the-second-quarter/.